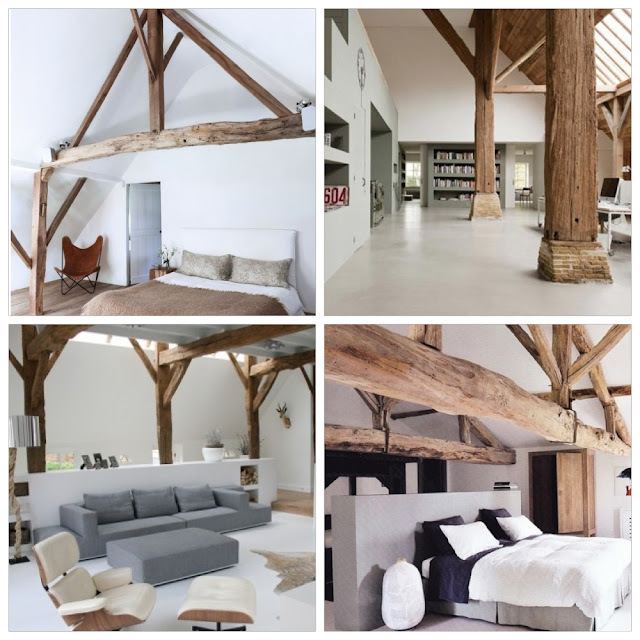 Wooden beams are a real eyecatcher in an interior. 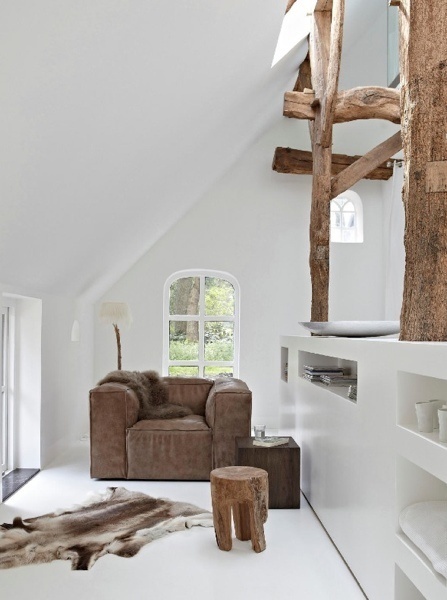 Rustic and old wooden beams make a beautiful contribution to a modern decorated house. 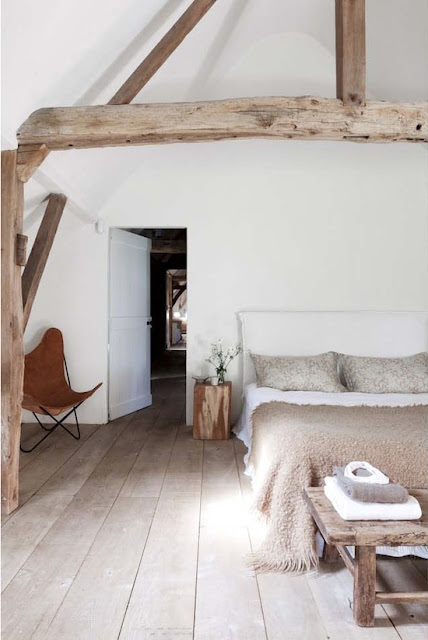 I very much like the contrast between white walls and old wooden beams, it gives so much atmosphere to the room. 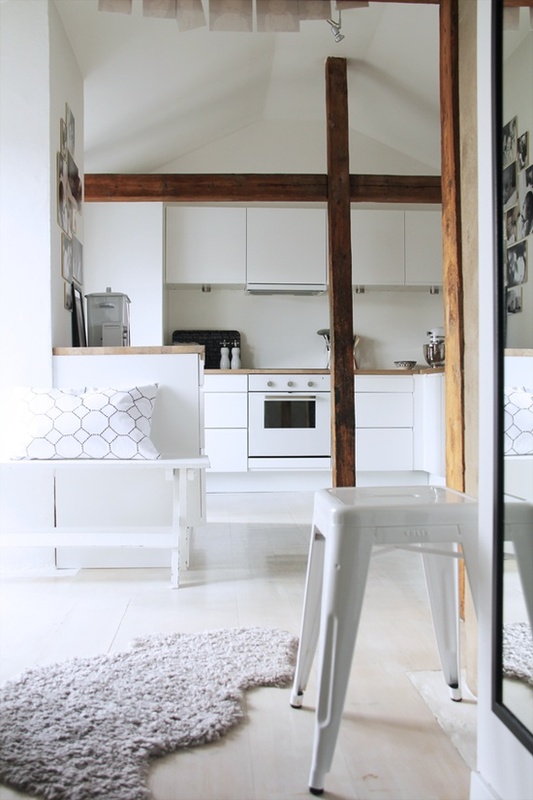 What a beautiful combination on the picture above: old brick wall, rustic en new wooden beams and a very modern concrete kitchen. 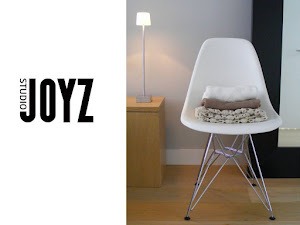 Great mix of old en new materials!